Benson’s Gourmet Seasonings is a family business based in California. They make nine superb salt free blends, but what they’re best known for is their unparalleled Table Tasty. Table Tasty is a natural, all-purpose seasoning intended to replace salt. Unlike other salt substitutes, Table Tasty contains NO potassium, MSG, additives or chemicals. It’s completely salt free, sugar free, and gluten free, too. Table Tasty is the one and ONLY salt-free blend with a naturally SALTY taste. When I first reviewed Table Tasty (click HERE to read), I was absolutely blown away by the flavor. I checked the label several times, just to make sure there really wasn’t any actual SALT in the seasoning. My daughters and I devoured that first sample on a batch of plain popcorn and we couldn’t get enough. Table Tasty is just SO GOOD. Over the years I’ve reviewed many other salt-free seasoning blends, all of them excellent. But none of them, none, has the same unique flavor as Table Tasty. It’s simply without peer. Whether you’re on a low sodium diet or not, Table Tasty is your new best friend. Keep it on your table and use it liberally. With zero mg sodium per serving you can’t go wrong. You’ll be amazed by the level of flavor, and may indeed find yourself doing just as I did – checking and double-checking to make sure there’s no actual salt in it! PS: There’s not! If you’ve never had the pleasure of sampling Benson’s Table Tasty, here’s your lucky chance. Already a devoted fan? Terrific! From now through Sunday, April 8th, enter to win a free full-size bottle of the seasoning, simply by leaving a comment below. The winner will be drawn randomly and announced first thing Monday morning. NOTE: This contest is open to all Daily Dish readers (no residency restrictions). Many thanks to the lovely Debbie Benson for her generous support! This entry was posted in Promotional Giveaway and tagged Benson's Salt Free Seasoning, Benson's Table Tasty, BensonsGourmetSeasonings.com, giveaways, low sodium products, salt free seasonings. Bookmark the permalink. 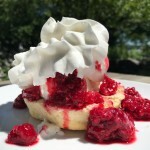 33 Responses to Benson’s Table Tasty – The Giveaway! I’ve never seen this product. How can it be purchased? 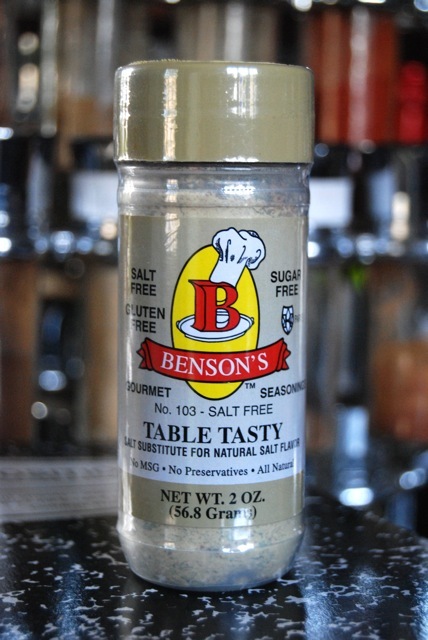 Table Tasty (and Benson’s other salt free seasonings) can be purchased directly from Benson’s website. Unfortunately they are NOT sold in stores. I just got mine in the mail. I read the label carefully then opened it and tried a teensie bit. I was BLOWN AWAY! It tastes BETTER than salt!! The yeast is what I think affords it the salty like flavor, but when mixed with the herbs, it adds an extra dimension! I wish they sold it in stores! Definitely count me in, would love to try this! Thanks for the chance to win!! Neat! I’m all over this. Can’t get enough seasoning in everything I eat! Which has led to some very, very unfortunate dishes oversaturated with red pepper flakes. Would absolutely love to try this!! i miss my salt! So good. I need more! Please include me in the drawing!. Thank you. 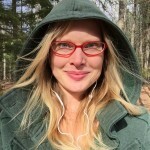 Please enter me in the contest for the giveaway. I’m always looking for new salt-free seasonings!! Thanks. Ok, we’ll be buying this if we win or not. If I don’t win, I’m definitely ordering some! It sounds great! I would love to give this a try. Thanks for keeping us informed. Please pick me would love too try it, I cannot eat salt and soooooooooooo tired of feeling like I can have nothing!!!!! Oh my gosh. 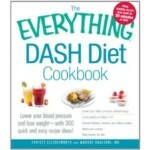 Just what we need to use since my husband was just diagnosed with chf. Put me in for the drawing! Congratulations, Stacy! You’ve been drawn as the lucky winner of the Table Tasty! Emailing you now. I would LOVE to try this!!!! Yes, please count me in for the drawing. Awesome website, btw! Can’t wait to try this. Mmmmmmm-salt taste again. I would love to try this new product, I am always looking for new salt free seasonings for my husband . He has been put on a Salt Free diet and it is so hard to make things he enjoys eating—-so please consider me for a sample bottle…..Thank you for keeping me informed of new items. Would love to have some table tasty! Yes, please!! I’d love to try it. This is my first time hearing of it. Tasty Table sounds SOOO exciting! I can’t wait to try it! This sounds amazing! I am new to this whole low sodium thing due to high blood pressure but I am at total foody, this would help with my meals so much! This sounds very promising. I would love to try cooking with this for my husband who is salt intolerant. Many thanks to everyone who entered, so wish I had a bottle to send each & every one of you. STACY has been drawn as the random winner of the Table Tasty. Congratulations! I’m late in responding but wanted to let you know that I’ve already ordered some. I think the Table Tasty will be a welcome addition to the other spices I regularly keep on our dining table. Thanks for bringing it to my attention once more. Been thinking of you, hope all is very well. Glad to hear you’re trying the Table Tasty. You’ll have to let me know what you think! By the way, I bought a bottle of the coconut aminos you posted. I think it’s great, though John is less enthused.. but as he’s the one without the “issue” – he can just keep on keeping on w/ the low sodium soy sauce. Just leaves more aminos for me! LOL Thanks again for letting me (us) know about them. Cannot say how helpful it is drawing attention to these products. Love it! I have heard nothing but good things about this brand. Looking forward to trying!